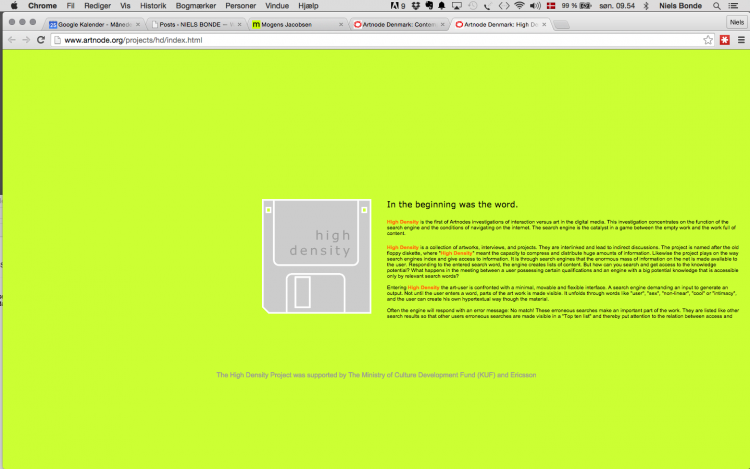 High Density is the first of Artnodes investigations of interaction versus art in the digital media. This investigation concentrates on the function of the search engine and the conditions of navigating on the internet. The search engine is the catalyst in a game between the empty work and the work full of content.